Mr. Reyen is a founding member of Oium Reyen & Pryor, established in 2001. Mr. Reyen has successfully represented many diverse clients over the more than 30 years he has been practicing law. 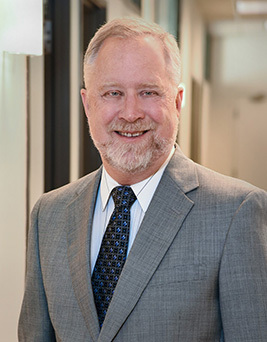 Mr. Reyen’s areas of practice include product liability defense, environmental torts, real estate habitability and discrimination claims, elder abuse and trust and estate litigation. Mr. Reyen has tried many cases to verdict including toxic torts, electrical explosion injury, product warranty, discrimination, and personal injury claims involving traumatic brain injury and spinal cord injuries. He has obtained defense verdicts in several alleged dental product induced cancer lawsuits. His clients include insurance companies, dental products and elevator companies and an automobile manufacturer. He also represents individuals in a variety of litigated matters. Mr. Reyen is a member of the Association of Defense Counsel of Northern California and Nevada, and the Defense Research Institute. Mr. Reyen is an avid golfer, bicyclist and snow skier in his spare time. Along with his wife Dawn, he has bicycled over large swaths of Europe over the past decade. He is very proud of his family. His wife Dawn is a brilliant musician and choral conductor. His son Chet graduated from Princeton University and is currently attending the University of Southern California Gould School of Law.